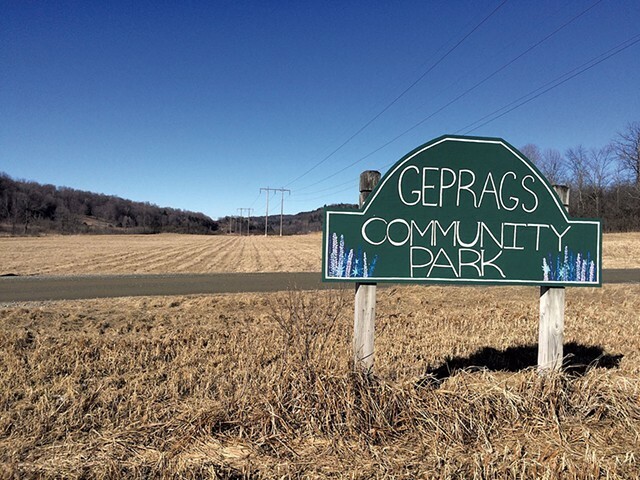 Vermont Gas Systems and the Hinesburg Selectboard have come to an agreement on the company’s plans to construct a pipeline through the town-owned Geprags Community Park. A group of residents continue to oppose it, however. The Public Service Board, which has yet to approve the company’s request to use eminent domain to take the Geprags parcel, will review the request next Thursday. In a widely criticized move, the PSB has decided to close that hearing to the public because protesters have repeatedly interrupted previous proceedings. 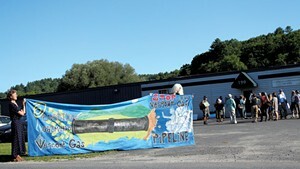 The 41-mile natural gas pipeline, which will run from Colchester to Middlebury, has spawned ongoing protests and encountered many setbacks, including major cost overruns. This is the last pending eminent domain case standing in the way of the pipeline, according to Vermont Gas, which hopes to complete its pipeline this year. But the battle may not be over. A group of Hinesburg residents, represented by James Dumont, is still challenging the eminent domain request on the grounds that land already designated for a public use cannot be seized for another public use. Meanwhile, activists with Rising Tide Vermont, a group that has long waged a campaign against the pipeline, announced early Friday yet another protest. “Two people shut down construction at a Vermont Gas pipeline worksite today, citing growing concerns about public exclusion in the permitting process,” the group announced. What's With the Huge New Drainage Ditches Along Vermont Roads?